Good morning darlings! 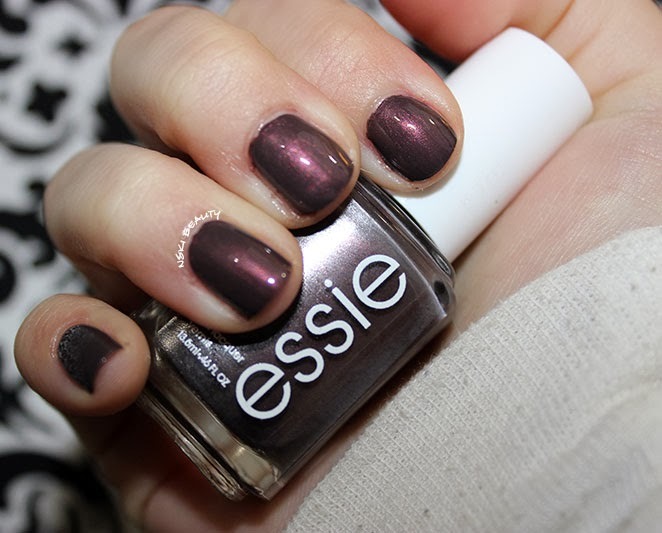 I have to admit I'm really excited for this week's Mani post! I have been oogling and dying to use Essie's Sable Collar. I'm not sure exactly why I haven't tried it until now but Je t'adore! 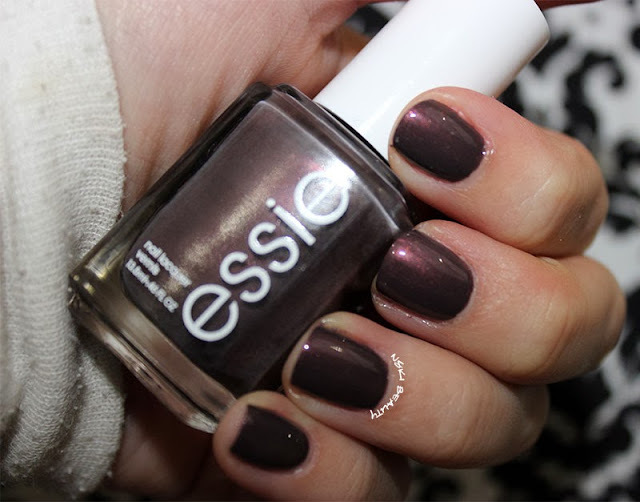 The color is stunning in the bottle and is exquisite on the nails! A luxurious pearlescent cocoa plum that definitely has visions of Sugar Plum faeries dancing in my head! ...Okay maybe that's a bit exaggerating but I am definitely LOVING this nail color. 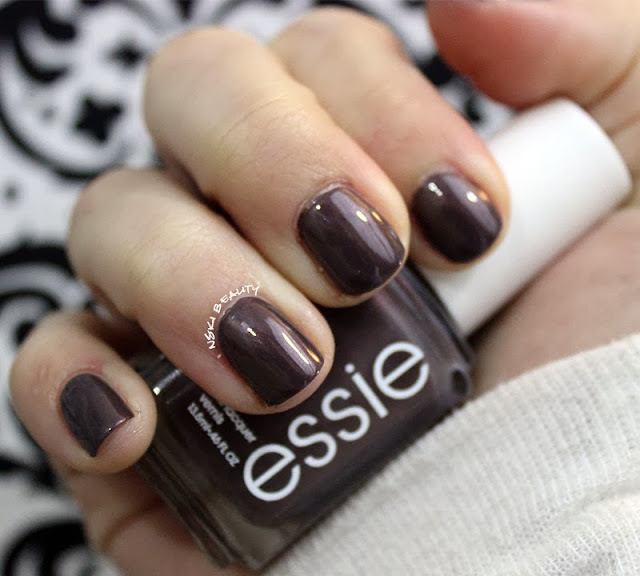 As with most of Essie's polishes just a single coat offers a nice opaque coverage but I found two coats was the magic number for Sable Collar. It just made the color all that more rich. I really love how it isn't exactly a purple and isn't exactly a brown. It is a nice balance with a fantastic pearlescent under tone. 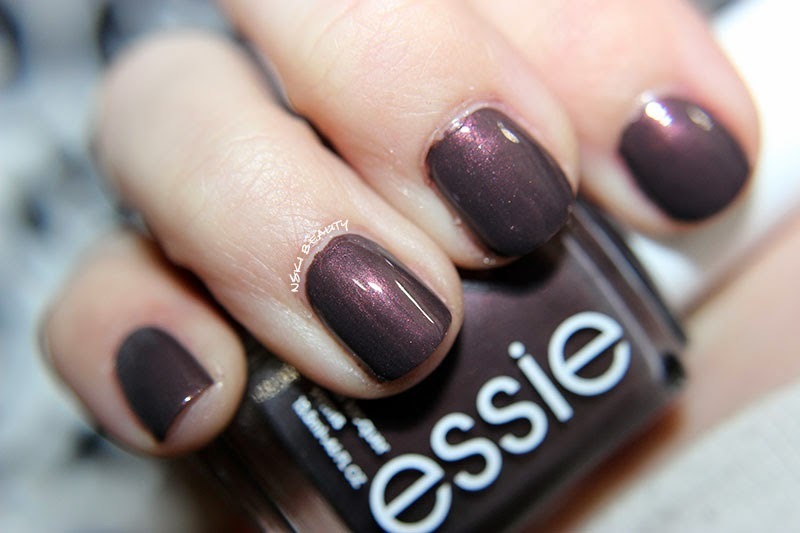 I see this definitely being a staple for my nails this winter season!